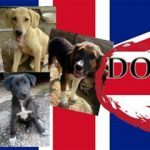 K9 Rescue charity is focused on making a difference to the treatment of dogs in developing countries with our work primarily in Eastern Europe where dogs are seen as vermin by the majority and treated accordingly with poisoning, beatings and torture. 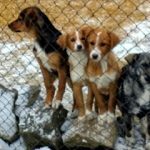 After moving to Bulgaria in 2005, Michelle Jones, co-founder of K9 Rescue, was saddened to see so many animals suffering as a result of cruelty and neglect. She soon fell in love with the large number of stray dogs many in desperate need of food and medical treatment, struggling to survive on the streets and decided to do what she could to help create a brighter future for them. 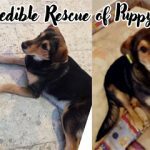 During the following six years, Michelle quickly became heavily involved in rescuing sick and injured street dogs and puppies, providing much needed veterinary care and then re-homing them both locally in Bulgaria, elsewhere in Europe and beyond. She witnessed so many critical injury cases from both abuse and accidents on the streets as well as the typical starvation and skin disease cases that are endemic in the street dog populations due to lack of food and stress of being homeless. Upon her return to the UK, Michelle teamed up with Jayne Jones and our K9 Rescue organisation was formed and registered with the Charity Commission. Together, Michelle and Jayne have now taken the initiative to focus on the most difficult, neediest cases; the old, critically sick, neglected and abused or dogs that are simply not as attractive to adopters or problematic in some way, referred on to us by other rescuers or shelters in Eastern Europe, helping dogs that would otherwise by euthanised, deemed as having no future. 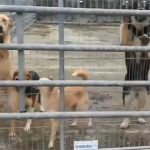 As a result , unlike many other rescues, we don’t re-home hundreds of dogs as these dogs often take months to rehabilitate, making it very difficult to have a steady flow of income, and as a result we are rarely able to cover costs. 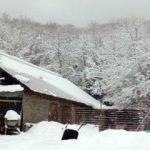 In 2013 we partnered with Mimi Mishevska, an independent rescuer in a remote mountain village in Macedonia, helping to rehome her neediest rescues as well as help to fundraise for food and veterinary care with aid in helping to build a small shelter in 2017 when she faced eviction from the land she had been renting. Now based in the Forest of Dean, Glos, K9 Rescue’s mission is to empower more independent rescuers and grass-roots charities in developing countries through encouragement and development of their skills for self-sufficiency in animal welfare, with a focus on eliminating the future need of foreign NGO’s by creating the framework for better animal care, through animal welfare education of the public as well as through veterinary education, as whilst veterinary skills in Eastern Europe have improved enormously in the last 12 years, actual compassionate care is still in its infancy, as animal emotions are widely misunderstood, with the common misconception that animals don’t have feelings or feel pain in the same way as humans do. 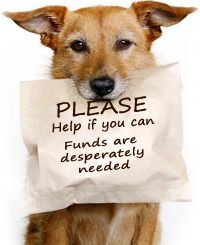 Please check out our Get Involved section to find out how you can help us change the fate and lives of dogs in need. Through our work rescuing serious injury or sick dogs, we have become increasingly holistic in the care we give our dogs, as we’ve found natural methods aid in faster healing and also help with longevity and good health. As a result of our positive experiences, K9 Rescue’s mission is to also promote holistic care and rawfeeding for improved health and longevity to improve the welfare of all dogs, through leading by example and giving advice, support and education. With our work focussing on critical injury cases we utilise the very best in holistic care alongside veterinary medicine. We believe emotional healing is just as important as physical healing. Our mission is not just to heal broken bodies yet also to heal broken hearts. K9 Rescue believe in treating every adoption process individually. There is a dog for every family and a family for every dog.